How LEAN Methodology reduces risk of implementing change with innovative technologies. 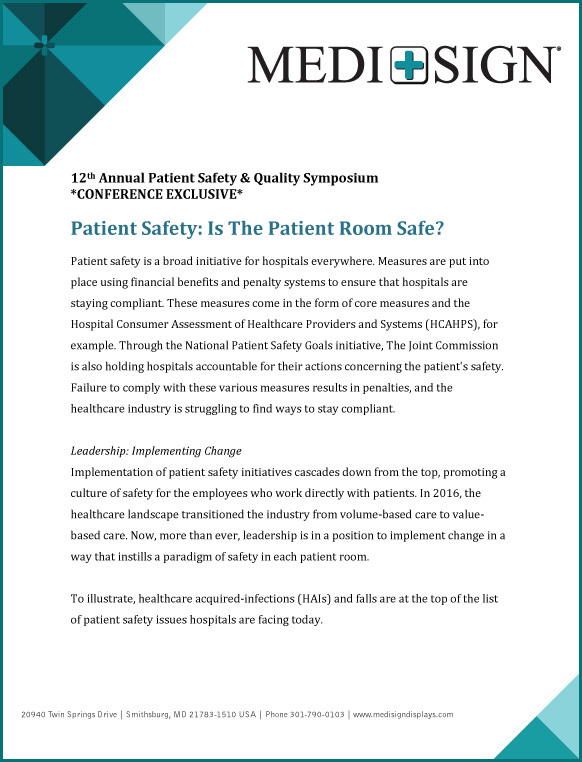 Innovative patient safety centered technologies including infusion pumps, telemetry, beds and patient room whiteboards. Visit us to watch a video and learn more about how MEDI+SIGN makes your patient room safer. Get your very own copy by filling out the form below! Note: A link to the whitepaper will be emailed to you. Please be sure to use your company e-mail address when submitting. Your information is safe with us. If you prefer to speak with someone over the phone, simply call us at the number above.